Walk into any southern garden lately and you’re likely to see dozens of blooming hydrangeas – their round, fluffy blossoms creating cloud-like shapes nestled amongst a green leafy sky. Hydrangeas are one of America’s favorite flower and aren’t just popular in the garden – they are frequently used in wedding bouquets and as centerpieces, and, when cared for properly can be have a long vase life as fresh-cut flowers. The hydrangea comes in a wide variety of shapes, sizes, and colors. (Did you know that you can actually change the color of a hydrangea bloom depending on the pH levels and presence of aluminum in the soil? Caring for cut hydrangeas is fairly simple as long as you remember that hydrangeas love water. To help your hydrangeas last in a vase, cut the stem every 2-3 days (under water is best). You may also try piercing a few tiny holes in the stem with a sewing needle – this will allow the flower to absorb water at a faster rate and keep the blooms hydrated. 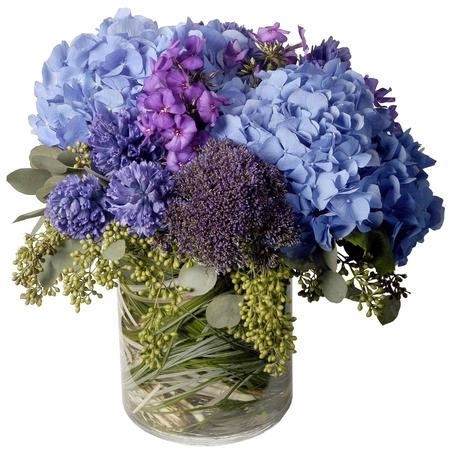 Carithers Flowers offers many elegant floral arrangements featuring the beautiful hydrangea. 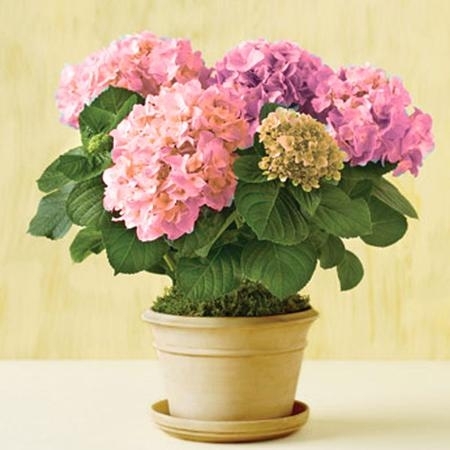 When shopping for your next hydrangea plant, consider Carithers Flowers Blooming Hydrangea. This beautiful blooming hydrangea plant can be enjoyed indoors and can also be transplanted, in southern zones, outdoors for years of enjoyment both in the garden and in your own floral arrangements. Voted Best Atlanta Florist, Carithers Flowers offers same-day flower delivery in Atlanta and across the United States. Make someone smile today! Call Carithers Flowers (404) 418-7443 to place your order. Call Carithers Flowers (404) 418-7443 to place your flowers order. Follow Carithers Flowers on Twitter to receive 10% off your next order. Become a friend on Facebook to view the latest event photos and videos from Carithers award-winning design team.